Suggested planting rate: one bulb per 1 ft/sq. 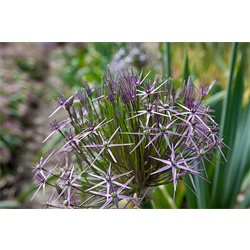 Notes: The Allium schubertii is an ornamental cousin of the garden onion. Excellent for naturalizing or pots. These Tumbleweed onion bulbs are very hardy and will multiply rapidly to form colonies.